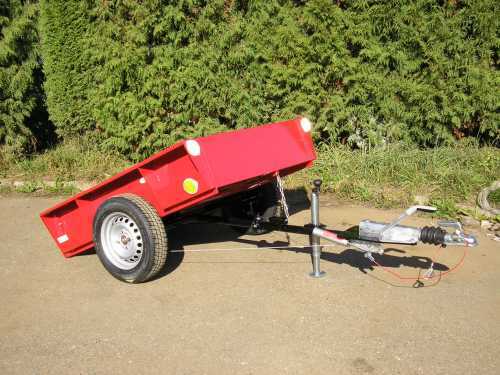 The weight of the trailer is 115 kg. 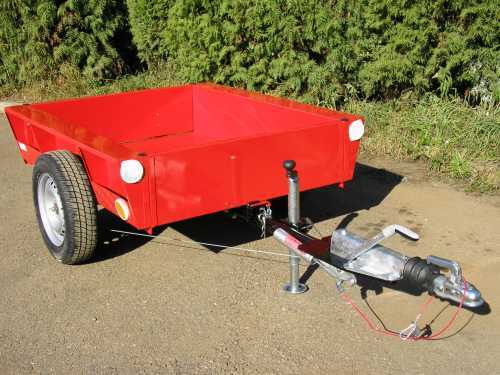 The trailer is equipped with a hand brake and an adjustable support wheel. Furthermore, an overrun brake is mounted. 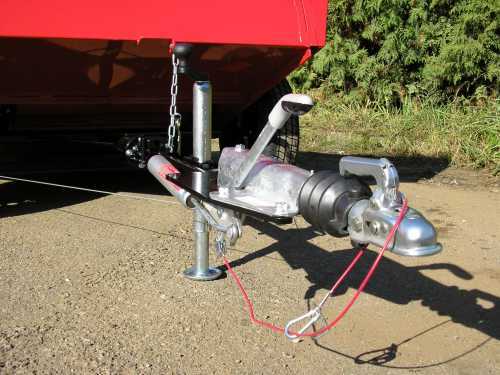 The trailer skip is welded in whole, reinforced at the sides with gusset plates - a skip that withstand all stresses. The tubular frame is simple and robust and is mounted within a half hour.